Happy Short Work Week! How was your holiday weekend? Did you have a picnic? Host a BBQ? Give me the lowdown. My building had an impromptu barbecue in the “VIP Lounge” (My neighbors’ luxuriously-decorated, totally tricked out deck) and I, of course, brought dessert – homemade paleo fig newtons, Simple Mills cupcakes, and grain free pineapple upside down cake – but only because these deviled eggs were long gone. Yes, perhaps I could have made another batch, but I probably would have just eaten those too. They’re that good. 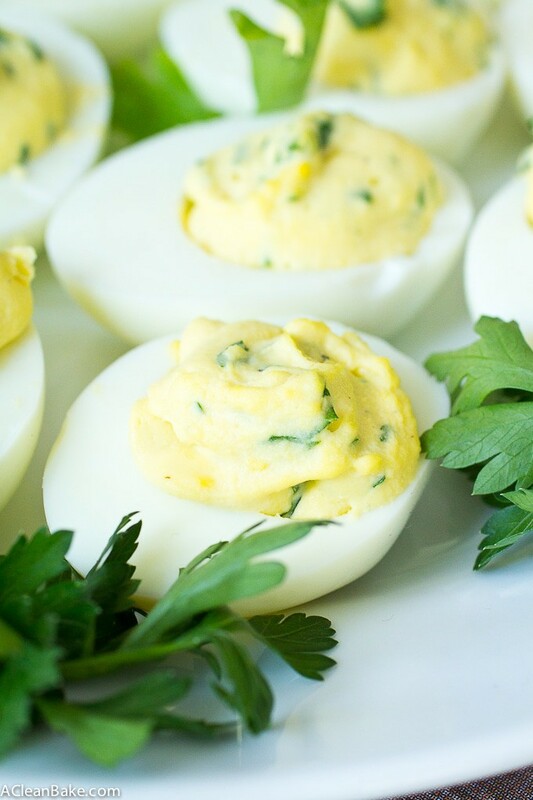 I would certainly never consider myself to be a fan of deviled eggs or, at least, not until I made them my way: a little extra lemon juice, much better quality mayo (I used Sir Kensington’s), and a fistful of crisp fresh herbs. Now we’re talking. 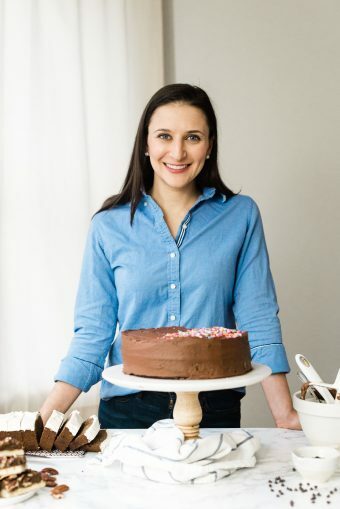 Since Monday was the official start of picnic season, I thought it was high time I finally shared my favorite picnic recipe with you. This is the kind of recipe that is perfect for any picnic, whether you’re swamped and looking for something easy to bring (comes together in barely more time than it takes to boil the eggs), are nervous about cooking for a crowd (it’s nearly impossible to screw these up, don’t worry, and you can make a double recipe just as easily as you can make a single one), or are hosting the party (make these in advance – they stay fresh in an airtight container in the fridge for about 24 hours). 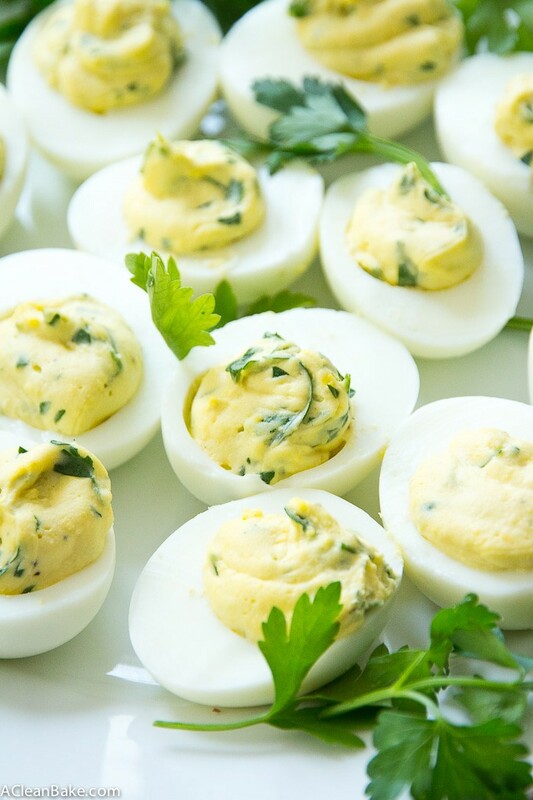 This summer, I predict we’re all going to be deviled egg fans! 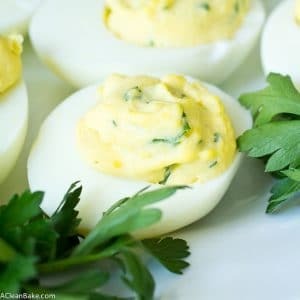 Paleo friendly deviled eggs that take only minutes to make and don't require you to turn on your oven. It's the perfect dish for a summer picnic! Slice eggs lengthwise and remove (but do not discard!) the yolks. Set the whites aside. 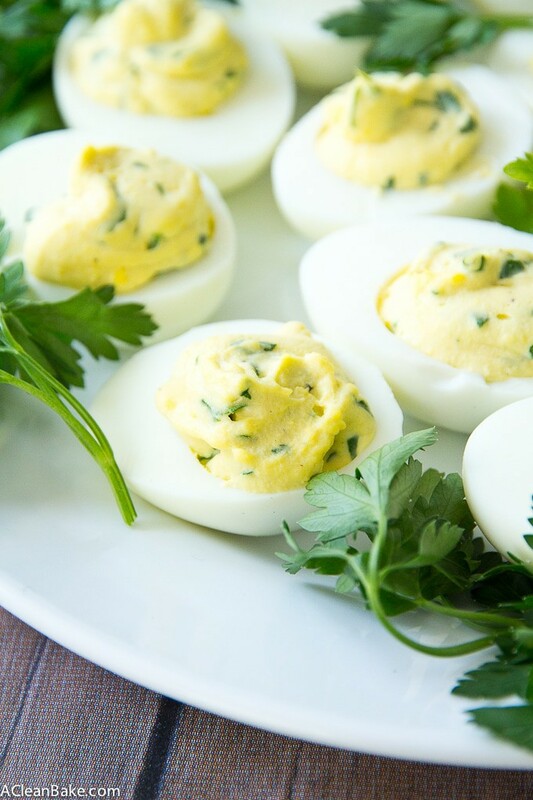 Add the yolks to a food processor with the mayonnaise, lemon juice, pepper and salt and puree until smooth. Add the parsley and pulse several times until parsley is roughly chopped and well-incorporated. Transfer the yolk mixture into a clean zip top bag, seal and squeeze the yolk mixture into the corner of the bag. Use a clean pair of scissors to snip a small corner off of the bag. Gently squeeze the filling into the egg whites until each one is filled. Garnish with chopped parsley and serve immediately or store in an airtight container in the fridge for up to 24 hours.